• Apartment buildings front neighborhood streets with majority of parking behind the buildings. 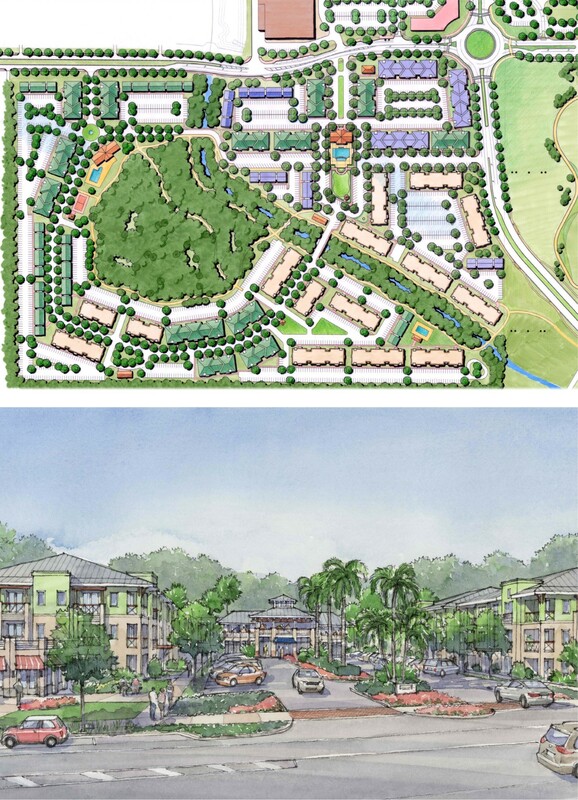 After completing the master plan for the 600-acre Nathan Benderson Park & Rowing Venue, TSW was retained by the Benderson Development Company to provide master planning for supporting residential adjacent to the park property. 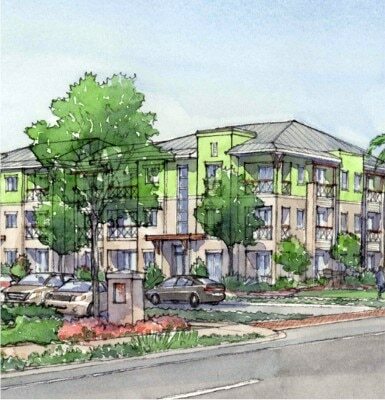 TSW’s focus was on providing a more traditional neighborhood development layout for apartment buildings. The layout included buildings that fronted onto a neighborhood street with the majority of parking located behind the buildings. The layout also included the preservation of a large, central greenspace to serve the residents and provide stormwater management.